Tonight marks the end of the Jessie TV show on Disney Channel but another of the sitcom’s programs is ending as well. The series finale of I Didn’t Do It will air tonight at 9pm, ending the comedy’s run after just two seasons and 39 episodes. Three years ago I walked into an audition for “Delia, 14, bubbly, odd-ball, hipster…”not knowing it would change my life,” Sarah shared. “I’ve danced with goats, been sprayed with fake spaghetti sauce, yelled at a giant pumpkin till I lost my voice, licked my foot, licked Peyton’s hand, smashed cake on Pipes, played puppets with Liv, gone to New York with Austin (kind of)… The memories never end. But the show had to at some point. Which brings us here, to the end of the line. I wouldn’t trade the last three years for anything or anyone. Thank you guys for reading this post and for watching. Tune in to the Series Finale at 9pm: the Rescuers. PS. I did do it. It was me all along. Well, I hate to say it, but…all good things come to an end. And tonight, “I Didn’t Do It” comes to an end. A little too soon, perhaps, but what can you do? Thank you to all the fans who supported the show. You guys are the best, and I hope you stick around even after the show is over. I love you, I love my cast, and I’ve loved having the opportunity to work on such a wonderful project with such wonderful people. 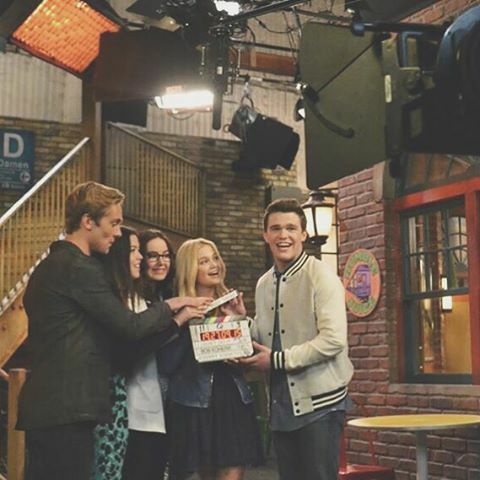 So tune in tonight at 9:00/8:00c for one last adventure with the fab five…on@disneychannel. What do you think? Are you a fan of the I Didn’t Do It TV show on Disney Channel? Would you have watched a third season? Would you like to see the characters return someday? More about: I Didn't Do It, I Didn't Do It: canceled or renewed? I stayed around for the 2 seasons hoping to let it go on as long as Liv and Maddie, I was sad when no more episodes came back! I would have loved to see how the characters would grow up to be! I would have watched it..I discovered the show at the second season and I love It! The characters are so funny..